Antique all original smaller home iron safe that was made by the company, ‘Meilink’s Home Deposit Vault’ company. This safe is a taller small safe which is locked and opened with a key. Good original paint and stenciling are on this safe that measures 14 1/2″ high, 9 1/2″ wide and 10″ deep out to the opening turning knob. 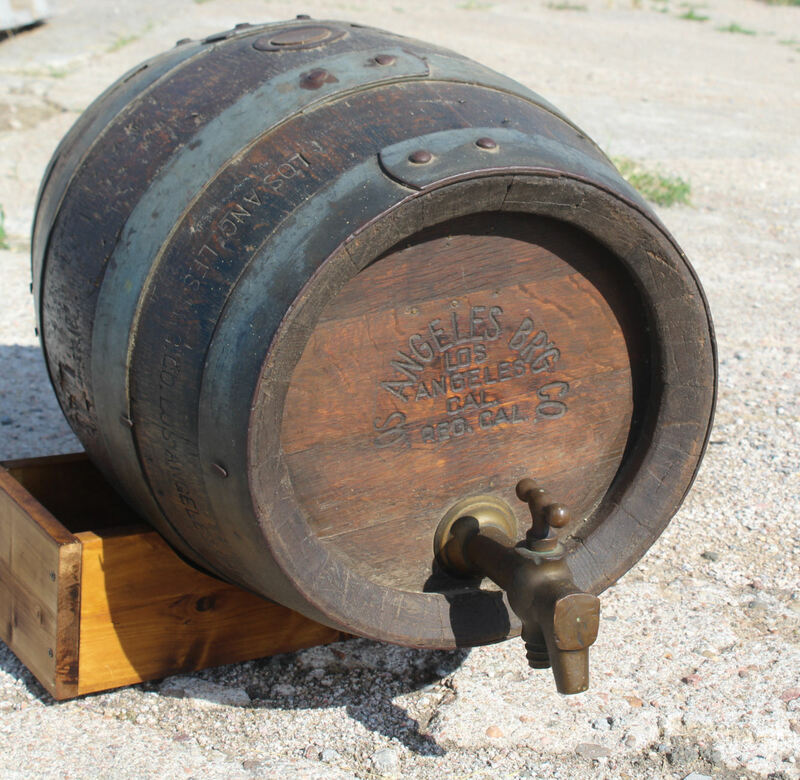 Antique Wooden Oak Barrel Beer Keg – Los Angeles California BR’G Co.